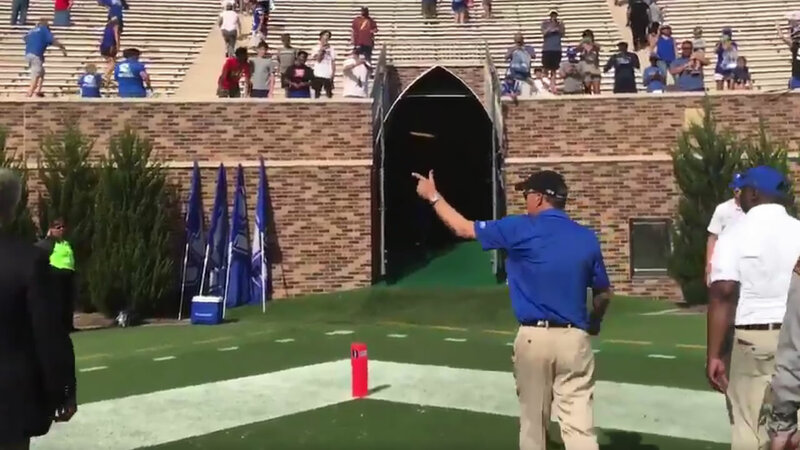 On Saturday at Wallace Wade Stadium Duke gave David Cutcliffe the best present he could ask for on his birthday, a win. "I've had a lot of years of birthdays in the fall that weren't so happy, "Cutcliffe said. "This is a whole lot better." The Blue Devils defense took over in a 34-20 win over Baylor. Ben Humphreys' pick 6 in the fourth quarter changed the momentum for the Blue Devils, who were only leading by four points prior to the interception. Duke improves to 3-0 on the season, riding some momentum heading into Carolina week.